Merry Christmas everyone! I hope Santa treated you well. The past couple of days have been filled with excessive amounts of food, meeting the newest baby in the McDermott family, and trying to avoid Kevin pinching my sides to make me jump out of my skin. I’ve been cooking up a storm for the various parties we’ve been to. So far, I’ve made black bean salsa, a swiss-bacon-scallion dip, carrot cake, and tag teamed some buffalo cauliflower with my mom. 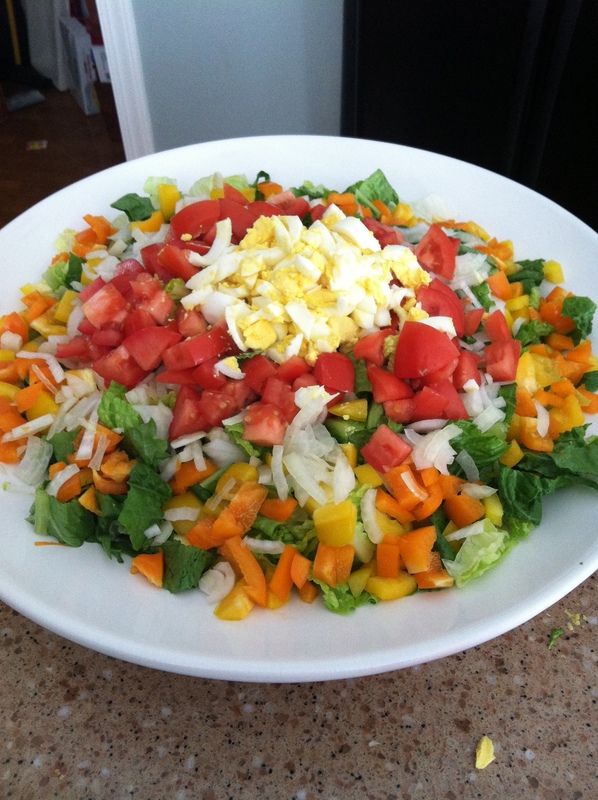 This salad had about 7 heads of lettuce in it. Because of the absurd amount of eating we do at all these events, we were trying to keep the dishes fairly healthy. Okay, the swiss dip is literally cholesterol on a cracker, but the rest are good for you. 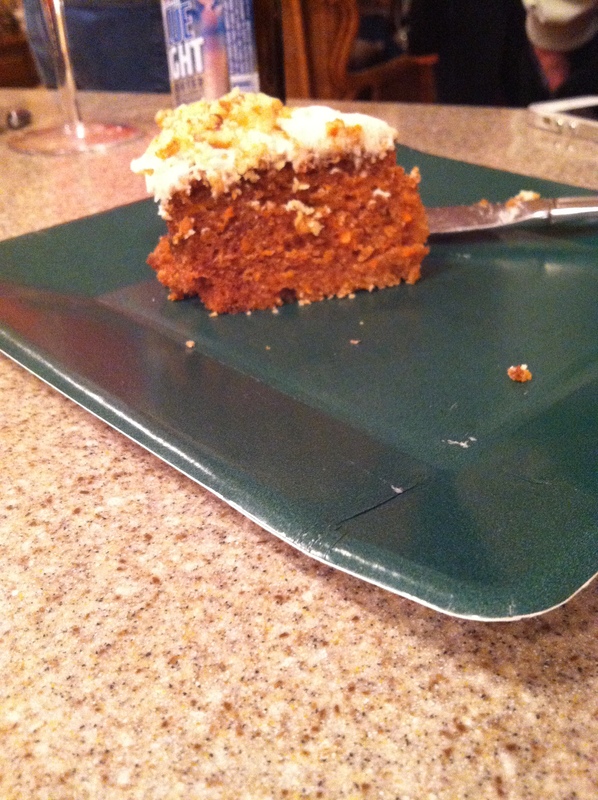 Carrot cake has vegetables in it, which cancels out the oil and sugar. We know how food math works. I doubled the recipe I usually use for cupcakes and baked it as a cake in a springform pan. This is all that was left. Last night we were responsible for bringing an appetizer, a dessert, and a vegetable. 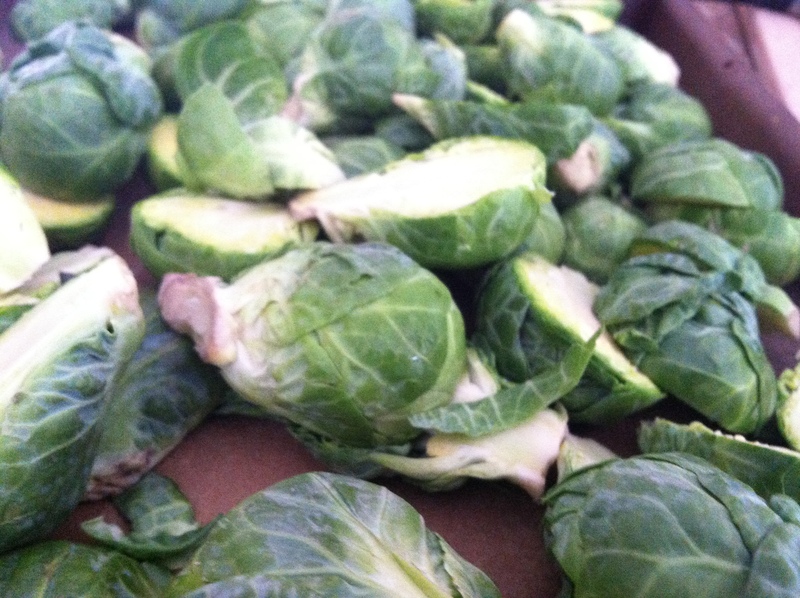 When my mom told me to brainstorm (probably because I whined about not getting to make anything for Thanksgiving), I immediately went to brussels sprouts. They’re all the rage. Keep in mind that I was cooking these to feed my big fat Irish family, so you may want to cut the recipe in half if you’re feeding a normal amount of people. Cut the sprouts in half and spread onto baking dishes. Toss with olive oil, salt, and pepper. Don’t be shy with the seasonings. Roast at 425 degrees for about 30-35 minutes, turning halfway through. Cook the bacon in a skillet, then set aside. 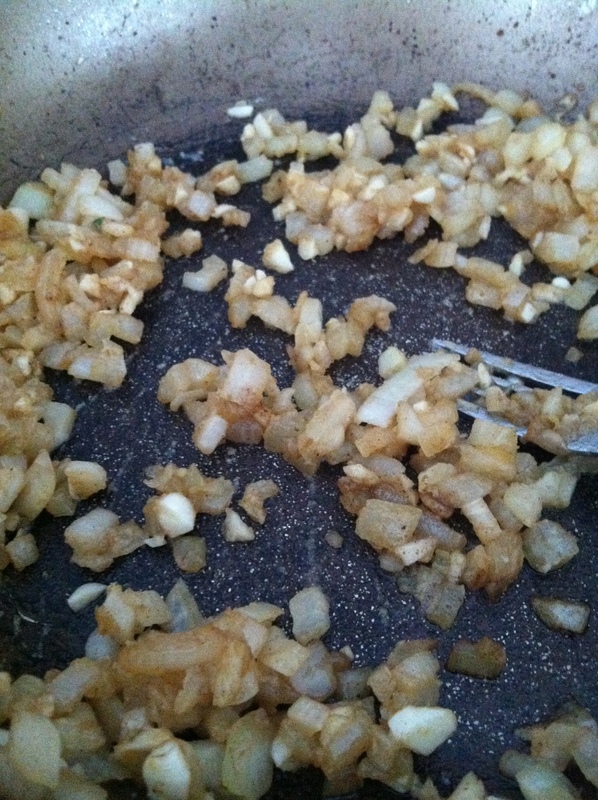 Discard most of the bacon fat, just leave about a tablespoon or so in the pan. Cook the onion until translucent, then add the garlic. Add butter and flour, and stir in until dissolved. You want to cook it for a couple of minutes to get rid of the raw flour taste. 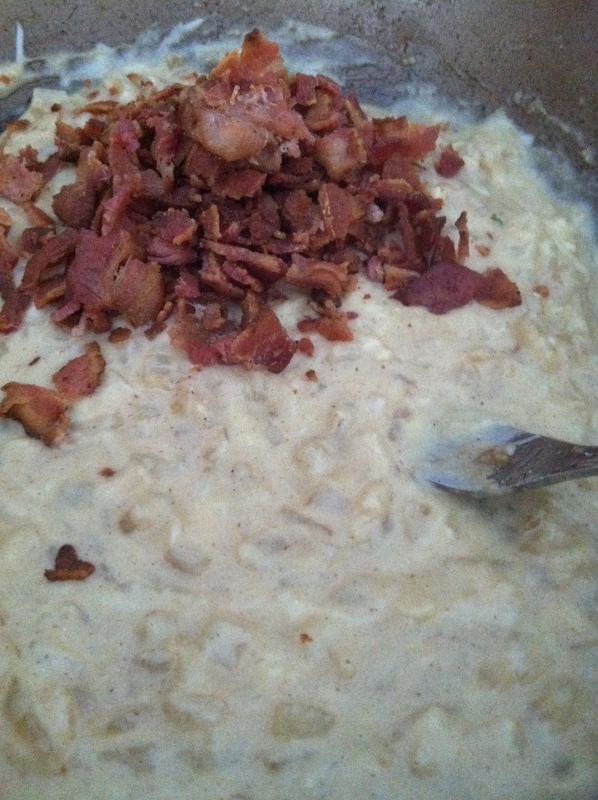 Add the milk, mustard, crumbled bacon, and cheese and stir together over low heat until combined. 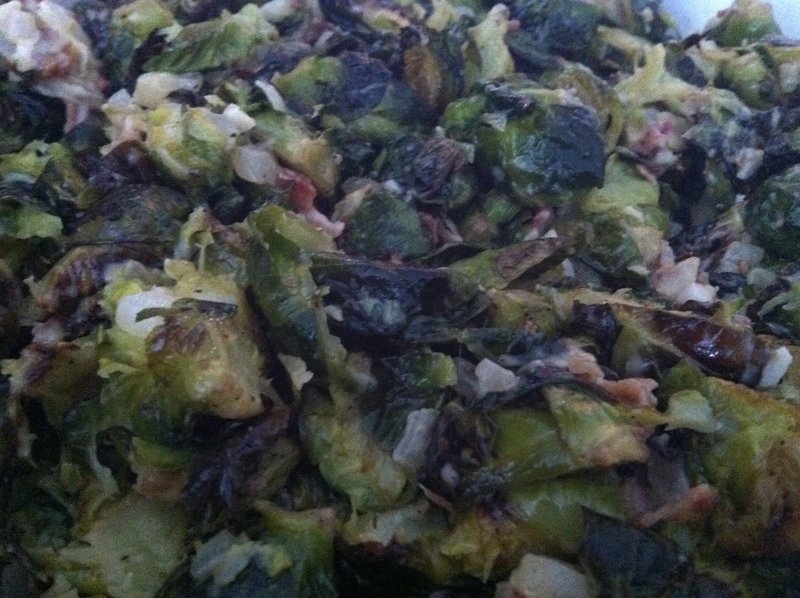 Toss the sauce with the brussels sprouts. It isn’t a ton of sauce- I didn’t want them to be overly creamy. Of course, not all of us need to be watching our figures. This Snapchat from Kevin proves that some people should be trying to pack on the pounds while they can.